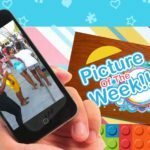 Cognizant of the fact that make-up artistry is on the rise in Saint Lucia and that now more than ever our women are more conscious of giving their face that extra touch – that special look, Duty Free Caribbean and black|Up placed the “know-how” in their hands last week. 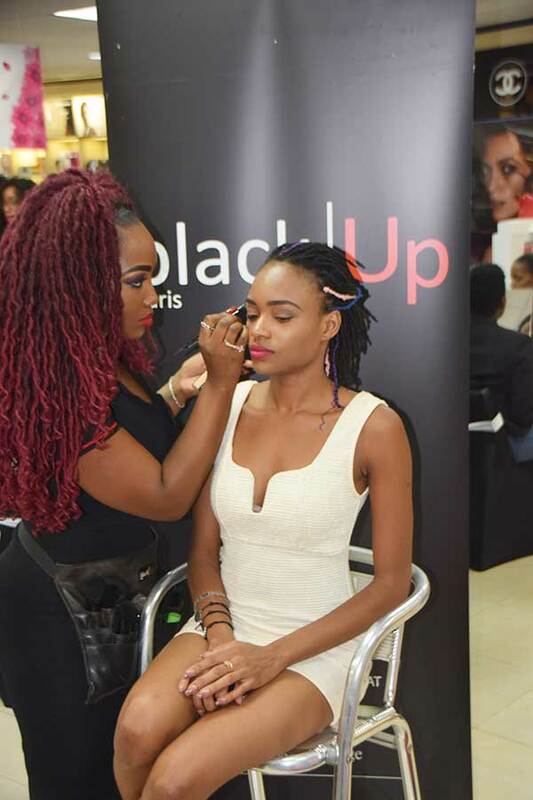 Scores of Saint Lucian women, from diverse backgrounds, participated in a “sold out” one day make-up Master Class with international makeup artiste Melissa Marie- Rose, who is based in St. Maarten (with responsibility for the Caribbean region). 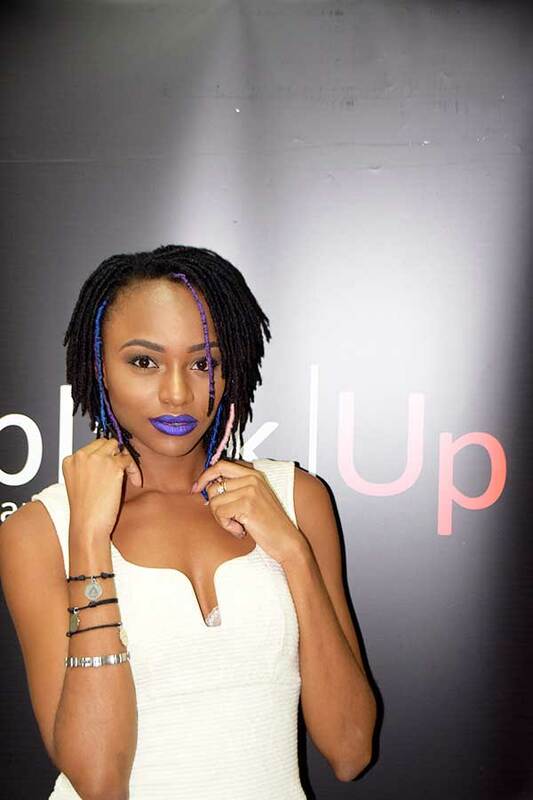 Spearheading the event for Duty Free Caribbean was Saint Lucia’s very own young and talented black|Up Cosmetics specialist and makeup artist Vernessa Henry-Long. The activity was held on Thursday April 26, 2018 from 5.00 pm at Duty Free Caribbean, La Place Carenage Castries. 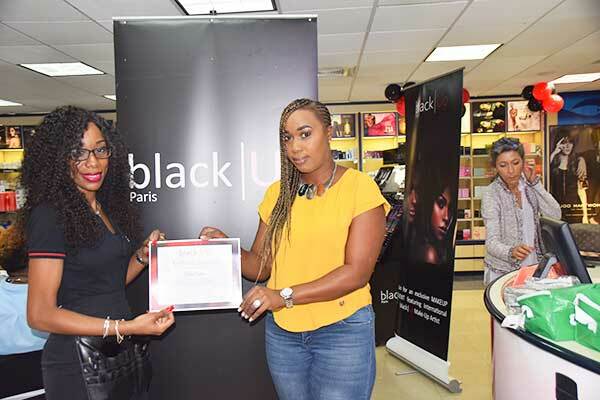 black|Up Cosmetics is exclusive to Duty Free Caribbean at La Place Carenage and it is the first French upscale beauty brand dedicated to women of color. The Paris based line is known for its range of professional, quality makeup that is developed by women of color and answers the specific needs of darker skin tones. 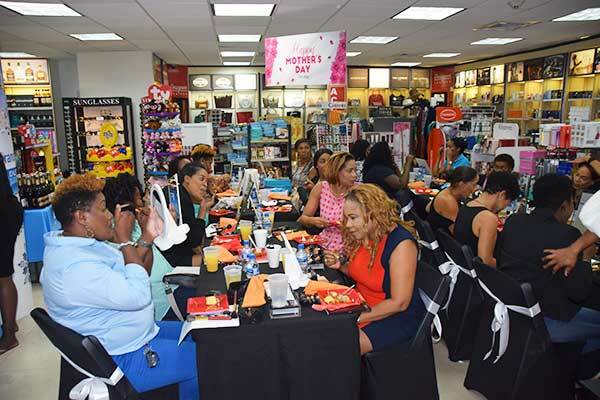 It was a totally fun filled day at Duty Free Caribbean ahead of the Master Class, as customers were treated to make-overs, goodies and special discounts on various items. According to Vernessa Henry-Long, the hands on approach to Thursday’s event, as well as the interactive nature of the class made for a truly remarkable and rewarding experience. 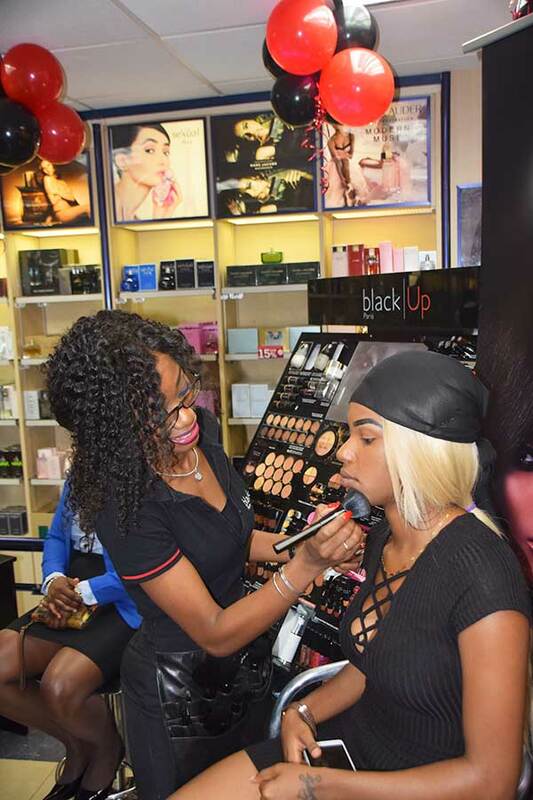 “For us at Duty Free Caribbean and black|Up Cosmetics, we are very thrilled to be doing this and we were pleased to see the turn out and the interaction as well. The participants were all impressed by our wide range of products, the versatility of the line as well as the professionalism displayed throughout the sessions,” she says. Judging from the outcome, she believes that the black|Up event will be repeated in the future. Melissa Marie- Rose says that it was awesome to see the keen interest expressed by the ladies Thursday. 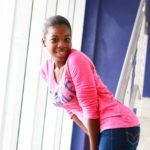 “I am happy to be a part of this and to expose more women of all ages to black|Up. The knowledge they have gained from this class is definitely something that will hopefully empower them”, she stated. The fun filled Master Class saw the participants going through practical exercises while being treated to treated to refreshments courtesy WLBL as well as tasty treats and signature black|Up cupcakes and cheese cake from the Cake Corner SLU. At the end of the session participants were presented with certificates, black|Up tokens and goodie bags with items from Heineken Light, Strongbow and Kotex. 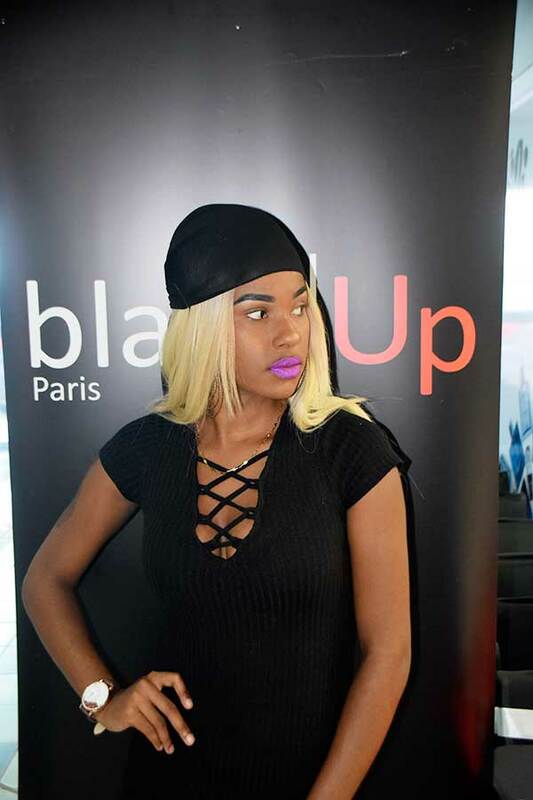 black|Up also used the platform of the event Thursday, to launch its latest highlighter “The Jennie Jenkins Highlighting Palette”, seven “Matte Liquid Lipcolors” and “The Ultra Matifying Rebalancing Fluid”. black|Up Cosmetics boast a wide range of products from primers to foundations (Matte, Full coverage, Cream to Powder and CC Cream); Powders (Two way cakes, Anti shine loose, Sublime and Mat –definition), concealers, eyeshadow palettes, Eyebrow products, Highlighting palettes, Lashes, Blushes, Contour Palettes lipsticks, on the spot correctors and the most amazing hand crafted makeup artist brushes.